When Hannes visits an imprisoned drug kingpin called Gunnar, Hannes is informed that the head of the narcotics division at Reykjavik police department is on the payroll of Gunnar’s drug-dealing rival, Sergej. Hannes sees an opportunity to take-down the corrupt narcotics cop and also the drug kingpin who he works for. He recruit’s the help of female cop, Andrea (Agusta Eva Erlendsdottir) who used to work as a narcotics agent under the supervision of the cop who is the centre of the investigation. 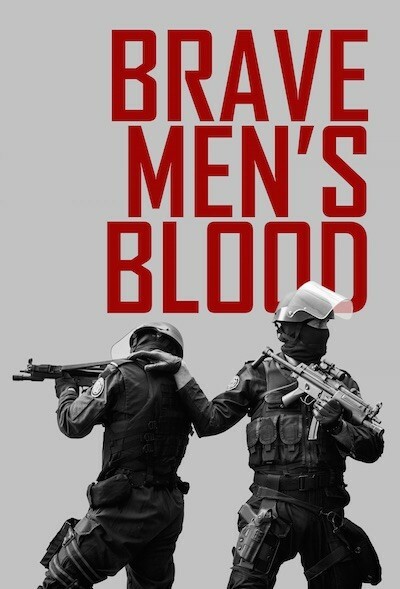 Brave Men’s Blood has a bit of everything. It works well as a solid thriller about the drug trade, drug trafficking, and offering us some Eastern European gangster action. At the same time cleverly blending in some police corruption drama. It also has some shocking violence that really hits you right in the gut. There is a reason that Nordic thrillers are ranked among the best in the world. They offer a gripping story, great acting, characters that are believable, beautiful cinematography,strong (un-clichéd) female characters and most of all, unpredictable, and plot that can go in any direction, at any time.